First-year students like Hollen Peterson looking to become teachers can get a head start with Tomorrow's Teachers Learning Community at Southeast’s LaFerla Hall. It is a program where students are able to learn from other students in their interactive environment in their dormitory. Program participants are able to travel, live and learn with other first-year students seeking to become teachers. Tomorrow’s Teachers learning Community is a great opportunity for freshmen looking to become teachers, Peterson said. First-year classes give students field experience through observation and they get to go into the classroom with kids and learn how the classroom is first-hand. A relaxed indoor picture of students on the first-floor program. The program was created in Fall 2014 for students looking to engage early in their academic program and become acquainted with teachers. Participants engage in monthly activities and trips that allow them to interact in their elementary, early and special education curriculum, assistant professor and Tomorrow’s Teachers Freshman Learning Communities coordinator Sharon Dees said. 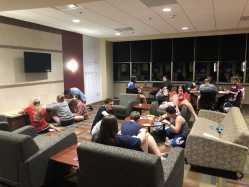 Learning community students who are accepted into the program have a chance to begin networking with teachers right away, Office of Residence Life area coordinator Allie Wisker said. “It is their chance to get connected to faculty early on in their academic career, so students are building those relationships right from the minute they step on campus,” Wisker said. She also said students who are looking to major in any form of education will be assisted with getting connected with the College of Education, Health and Human Studies starting with their first fall semester class taught by an education faculty member. Many residents have enrolled in ED 280 Introduction to Education as a Profession, a course that requires them to do 20 hours in the field. Dees said faculty take the students to diverse school environments as field trips to fulfill their field responsibilities. Earlier this year students who were part of the program got to take a trip to Lift for Life a charter school in St. Louis to gain insight on the responsibilities of a teacher, Dees said. “Once a month or more we go on field trips when they are in the ED 280 class in the spring, we take a trip to Lift for Life, which is a Southeast charter school in St. Louis and it varies where we go on the second trip, we have gone to Maplewood Richmond Heights and we have also gone to Advance school in Missouri; this year we are going to the Delta school in Arkansas,” Dees said. 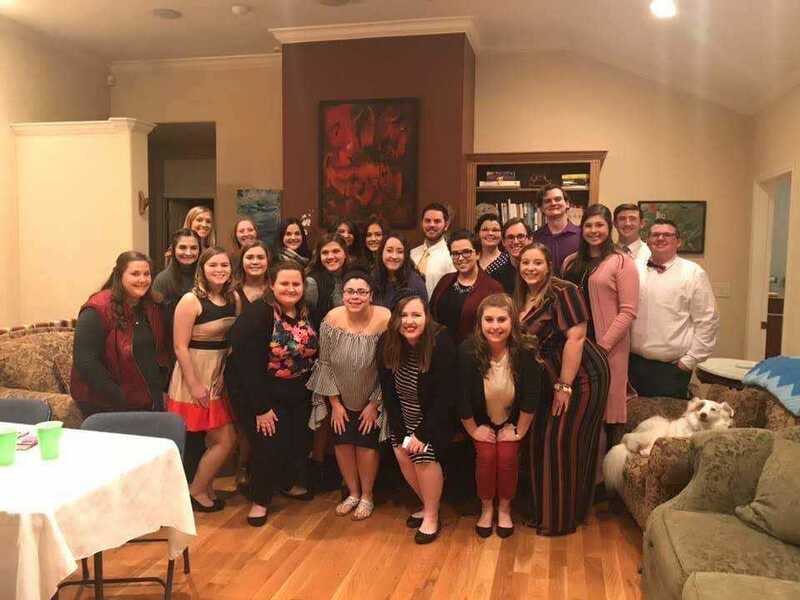 Being in close proximity with other students who are also looking to become education majors can be good for students in their life and learning community, Dees said. Helping students to jump-start their educational progress is an essential part of the community and nothing is done without taking the students’ education into consideration. “You live on the same floor as other education majors, so you have a community of people who have similar classes,” Dees said. Students who are part of the community are given an opportunity with first-hand experiences to make a decision about what they want to do with their education. This could mean they become teachers, or they may do something else, Dees said. She said building relationships with faculty as guides and advocates can be very important in the decision-making process for students. “For me, it’s relationship building and that’s how you keep students at Southeast; you build those relationships where they have faculty that are willing to help by being their advocate and help them navigate if they are confused about being a teacher,” Dees said. Wisker said the program’s retention rate in recent years is proof the program is working. “When we look back at previous years of students that have taken part in this program, they are retained at the university at a higher rate; most years it is higher than Dr. Vargas goal,” Wisker said. To participate in the Tomorrow's Teachers Learning Community program, students must be an incoming freshman and apply through their housing application. Wisker said she reaches out to applicants to make sure they are fully qualified.